Winter is winding down but it’s not officially over. 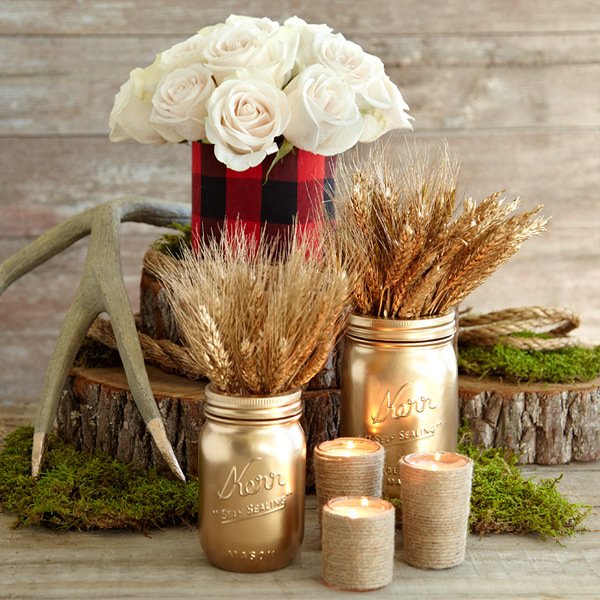 Warm up your (hopefully) last cold weather dinner with seasonal flowers and three handcrafted table decor projects – gilded mason jar vases, plaid wrap vase and rope votives. We’ll walk you through these simple projects. 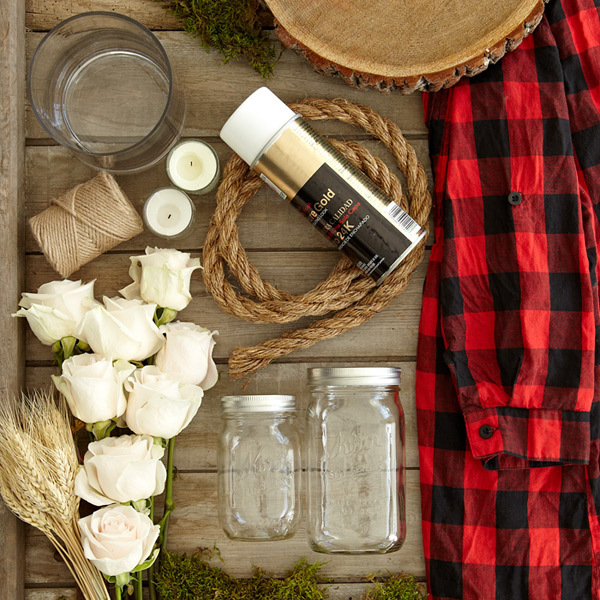 Coat the outside of mason jars with gold spray paint. 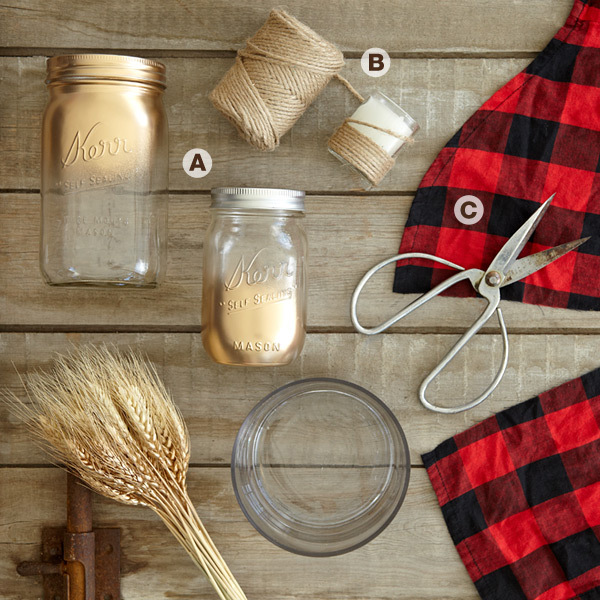 Varying the size of the mason jars will add more interest to your table. Dip one end of rope into glue. Start at the bottom at the votive and carefully wrap the rope around adding glue as needed until the votive is covered. Cut excess rope. Measure round vase. Cut shirt sleeve an inch longer than measurement. Slide vase into cut sleeve and fold extra fabric over inside of vase. Use clear tape to secure. Add your favorite winter flowers (we love the simplicity of white roses), foliage and accessories for a stylish rustic tablescape all your own.